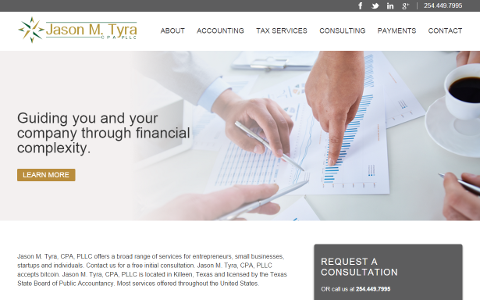 This very modern site describes the many services offered by this financial professional, along with his blog articles. This is a theme built from scratch from a design. There’s some fun styling on the menu dropdowns.